PBGS: Mikado Tickets now on sale! 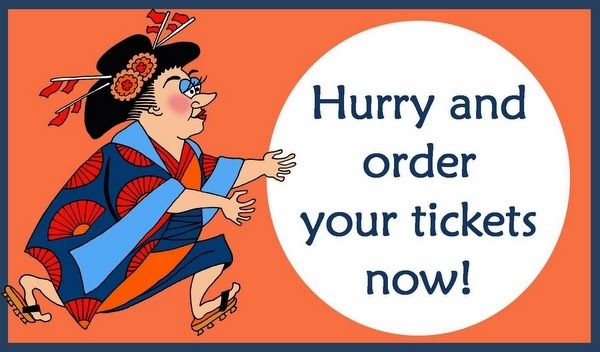 Mikado Tickets now on sale! Booking is now open for our next production of The Mikado, 9-12 April 2014 at the Queen Mother Theatre, Hitchin. 'The Mikado' is Gilbert and Sullivan's best loved show, and if the fun we are having at rehearsals is anything to go by, definitely not one to be missed! This is a traditional production with gorgeous costumes, wonderful singing and enough intricate fan work to keep us all on our toes. Into the Woods Auditions reminder!